There are only ten days left for European Union officials to significantly reduce the flow of migrants and asylum-seekers into the EU from Turkey, or the Schengen system is at risk of total collapse, according to the EU’s migration commissioner. “In the next 10 days, we need tangible and clear results on the ground. 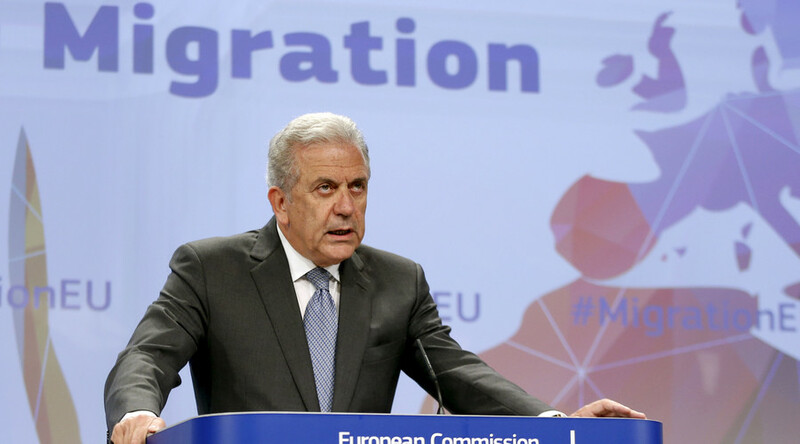 Otherwise there is a risk that the whole system will completely break down,” Dimitris Avramopoulos, EU Commissioner for Migration, Home Affairs and Citizenship, told the media on Thursday. The senior EU official's warning came after a Thursday meeting of EU justice and home affairs ministers in Brussels, where the officials had gathered to once again try to find a solution to the current migrant crisis. “Time is not with us anymore. There are only 10 days left till March 7,” he pointed out, referring to a special summit on the migration crisis that European Union leaders will hold with Turkey. “Lonely initiatives do not lead anywhere,” the EU migration commissioner told reporters in Brussels. This week, Belgium joined other countries that have temporarily abandoned Schengen rules allowing passport-free travel within the zone when it passed a measure increasing police presence along its borders. At the same time, Austria’s Defense Ministry has announced that it would dispatch more troops to its border to help deal with the crisis situation. While the head of the EU’s border agency Frontex, Fabrice Leggeri, has warned that over a million refugees will arrive in the EU this year, the 28-state bloc has failed to agree on a common solution to stem the flow of migrants, who are primarily from the Middle East and Africa. Leggeri also pointed out that the Schengen agreement cannot function properly if the EU’s external borders are not protected effectively. A mandatory quota of migrants and refugees that EU countries would have to resettle on their territories is one of the solutions being proposed. Yet, some of the bloc’s members are firmly against this. On Wednesday, the government of Hungary, which has consistently rebuffed the mandatory quota idea, announced that it would call a national referendum to decide on the issue, counting on public sentiment to reject the EU proposal.